"Two Airmen Are Killed, Lieut. Leighton W. Hazelhurst and Arthur L. Welsh the Victims. Wings of Wright Aeroplane Collapse Without Warning. Transcribed by Bob Davis - 8-22-05 "Washington, June 11. - Another fearful toll was taken by aviation tonight when the mutilated bodies of Lieut. 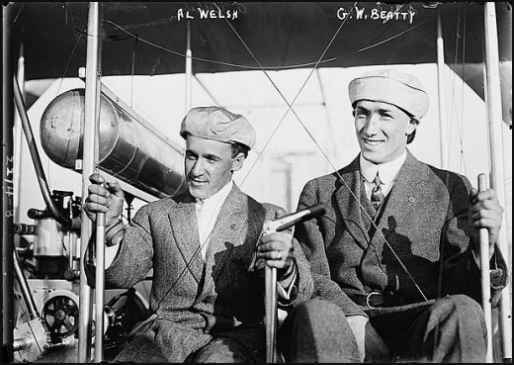 Leighton W. Hazelhurst, Jr., Seventeenth infantry, U.S.A., and Alfred W. Welsh, a professional aviator in the employ of the Wright brothers, were taken from the debris of a collapsed aeroplane. The accident occurred while they were attempting to make the test required by the government in a machine contracted for by the war department. Although an army board was immediately appointed to determine the cause of the accident, it is probable the real cause of the machine's failure never will be known. The crash came so suddenly and unexpectedly that the two men met their death without being able to make a single move to arrest their fall. Seven army air men were among the score of spectators, but they can not explain the accident. It was shortly after 6 o'clock that the Wright machine was run out in front of the long line of hangars. 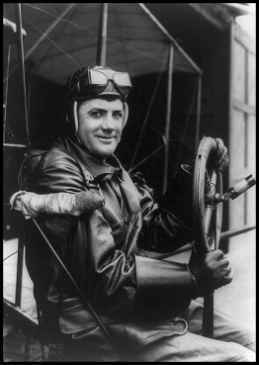 For several days Aviator Welch, whose home is in this city, had been busy demonstrating the aeroplane. All of the war department's requirements had been met except a climb of 2,000 feet within ten minutes, carrying a load of 450 pounds. Welch knew the machine was capable of meeting the test, for it had been accomplished at Dayton, Ohio, by Orville Wright before it was taken to College Park, and he had been made; impatient by several failures. "I'm going to make that climb tonight or know the reason why" he said as he began to tune up. "I am tired fooling" he added. A few minutes later he announced that he was ready. Lieut. W. Hazelhurst followed Welch into the machine, taking the passenger's seat. The aeroplane moved off steadily and flew the length of the field, rising 200 feet. 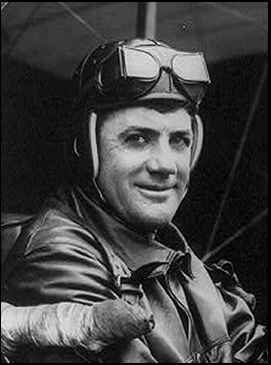 As it was turned toward the group of army officers before the hangars, Welch dived sharply to indicate that he was ready for the stiff test climb. The dip carried the machine to within about seventy-five feet of the ground, and it then straightened out sharply, too quickly, the observing army officers thought. Without warning the aluminum wings crumbled or collapsed upward, so that they almost met above the engine. The machine dropped, then turned her nose toward the earth and dived. Bodies of Victims Are Badly Mangled The accident occurred about 1,000 feet from the hangars, and when the first witness reached the wreck it was seen that both of the men were dead. Welch was buried in the debris, but the body of Hazelhurst had been catapulted fully twenty feet away as the machine struck. Welch's clothes were practically torn from his body, which was bruised and battered. Hazelhurst's skull was fractured and his head badly disfigured. Death to both of the men had probably been instantaneous. Their bodies were rushed in army automobiles to Walter Reed hospital, in this city. Five minutes after the flight began the flag over the aviation field was at half mast. Capt. Charles Def Chandler, commanding the army aviation corps, at once convened a board of inquiry, consisting of seven army officers who had witnesses to the catastrophe. A preliminary inquest shed little light upon the cause of the tragedy, as night fall made it necessary to postpone the investigation until tomorrow. and T. Dew Milling. Lieut. William C. Sheeman of the engineer school, Washington, and Lieut. B. D. Foulois, an army aviator, will be among the important witnesses. As the gathering dust (should be dusk) made impossible a careful examination of the wrecked machine, it was kept intact today in the hope that a fuller examination tomorrow might partly reveal the cause of the accident. on U. S. Army Aviation Field. Aeroplane Fell 35 Feet Killing Both Occupants. Were Unable to Account for It." "Washington, Sept 28. - Two more lives were sacrificed to aviation at the United States army aviation field, College Park, Md., today when an army aeroplane fell thirty-five feet to the ground instantly killing Corporal Frank S. Scott and so seriously injuring Second Lieutenant Lewis C. Rockwell that he died a few hours later. Hundreds of people, including fellow army officers, breathlessly witnessed the accident. "Lieutenant Rockwell had started up with Corporal Scott as a passenger to make a test flight in his trial for a military aviator's license. They had been in the air about eight minutes, ascending to a height of five hundred feet, then gliding down, had gotten within thirty-five of the ground. At this point the aviator turned the machine upward again and something went wrong. Instantly the aeroplane buckled and crashed to the ground. Scott was hurled several hundred feet from the machine while Rockwell lay a few feet away from him. Brother officers found Scott lifeless. Rockell, his head buried partly in the earth, still showed signs of life but was unconscious. He was rushed to a hospital. He never regained consciousness. Brother officers who witnessed the accident were at a loss to account for it. Captain Charles DeForest Chandler, commanding officer of the aviation school, immediately convened a board of inquiry to make an investigation. The board will meet next week. A single utterance of Lieutenant Rockwell probably brought death to Corporal Scott and saved the life of Captain Hennessy. When Rockwell was about to start aloft, Captain Hennessy requested that he be taken along as a passenger. Lieutenant Rockwell replied: "No, You're too heavy." And Corporal Scott was selected to accompany the Lieutenant. Lieutenant Rockwell was regarded as a most careful aviator. Three weeks ago he received his certificate as (a) civilian pilot. Lieutenant Rockwell was the fourth commissioned officer of the United States army to meet death in an aviation accident. The death toll levied through accidents of the United States army now totals six. Lieutenant Rockwell's home was in Cincinnati. He was almost twenty-eight years of age. Entering the United States military academy in 1903 he graduated and received his commission as a second lieutenant in 1907. He was assigned to the Third infantry and afterwards was transferred to the Tenth infantry, from which he volunteered his services in the aviation corps. Corporal Scott was attached to the signal corps of the army." ONLINE RESOURCES - 1 If you search for "Frederick B. Hennessy" +aviation, using the Google search engine, (8-25-08), you will find about seven links. The San Antonio Express, 30 April 1911, gave the following additional names of the trainees: Capt. Frederick B. Hennessy, Lts. Horace M. Hickam, Ned M. Green, Edwin S. Greble, Jr., John R. Lynch, Stanley L. Jones, Olin O. Ellis, Enock B. Gary, Alva Lee, Parker Hitt, Frederick Test, W. J. Fitzmaurice, R. D. Smith, O. H. Sampson, and Ralph E. Jones. If Captain Hennessy was one of the 18 officers who volunteered at San Antonio, he should be included as one of the officers who learned to fly before World War I. However, no record other than this has been found which names Hennessy as a member of this group of 18 volunteers. ** Walker soon was relieved from aviation duty at his own request. *** Kelly Field at San Antonio was named in honor of Lieutenant Kelly. You can access the page by clicking on the title. ONLINE RESOURCES - 2 If you search for "Capt. F. B. Hennessy" +aviation, using the Google search engine, (8-25-08), you will find just one link. CLASS OF 1916 (LAST PRE-WAR CLASS) This pdf file offers a very interesting group picture, which includes Capt. Hennessy. You can access the page by clicking on the title. I don't know the dates of his birth or of this death.